Travel credit cards turn your everyday expenses into valuable points and miles that can be redeemed for flights, hotel stays, cruises, and more. Most of the best travel cards require at least a “good” credit score (670-739), and will usually charge an annual fee. Use them strategically as part of a well-rounded credit card strategy and you’ll be flying off to a new destination before you know it. Take a look at some of Bankrate’s best travel credit cards from our partners and start planning your summer 2019 vacation now. This card easily takes the spot as our best overall travel rewards credit card because of its straightforward unlimited rewards, flexible redemptions – any airline, any hotel, anytime -- and no annual fee in the first year. Cardholders can boost the value of their miles by transferring miles to more than a dozen leading travel loyalty programs. Commonly used for: Auto Rental Insurance, Concierge Service, EMV, Extended Warranty Program, Lost Luggage Reimbursement, Mobile Pay Ready, Points, Primary Auto Rental Insurance, Purchase Protection, Roadside Assistance, Travel Accident Insurance, Travel Assistance, Trip Cancellation Insurance, Visa Signature, Zero Fraud Liability. 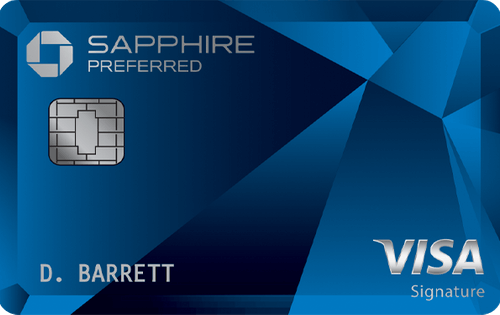 Chase Sapphire Preferred® Card is ideal as a first-time travel rewards card due to its generous rewards, uncomplicated points structure (2x point on travel and dining, 1x rewards on everything else), and you can get 25% more value when you redeem travel through Chase Ultimate Rewards. The sign-up bonus of 60,000 bonus points (worth $750 if redeemed through Chase Ultimate Rewards) if you spend $4,000 within the first three months really sweetens the deal. Commonly used for: Auto Rental Insurance, Concierge Service, EMV, Extended Warranty Program, Free Credit Score, Lost Luggage Reimbursement, MasterCard World Elite, Mobile Pay Ready, Points, Price Protection, Purchase Protection, Roadside Assistance, Travel Accident Insurance, Trip Cancellation Insurance, Unsecured credit card, Zero Fraud Liability. With the Barclaycard Arrival Plus World Elite Mastercard, you can book travel with any airline or hotel, restriction free, and redeem your miles for statement credits. Get 2X miles on all purchases, plus 5% miles back each time you redeem. Your miles won’t expire, and there’s a pretty hefty bonus of 70,000 miles when you spend $5,000 within the first 90 days of account opening. Read our full Barclaycard Arrival Plus World Elite Mastercard review. Commonly used for: 0% Introductory APR, Auto Rental Insurance, EMV, Extended Warranty Program, Lost Luggage Reimbursement, Mobile Pay Ready, Points, Price Protection, Purchase Protection, Travel Accident Insurance, Travel Assistance, Unsecured credit card, Zero Fraud Liability. The Capital One® VentureOne® Rewards Credit card gives you 1.25x miles for every purchase you make using your card, with no limit and no annual fee. That's a great deal but where this card really shines is when you use it to book and pay for hotel stays through hotels.com/venture, as you will earn 10x point per dollar on that spending. If you're staying in hotels frequently, and are brand-agnostic on the hotel you stay at, you could be earning a lot of extra miles with the VentureOne® card. At the end of your first year as a Discover it Miles cardholder Discover will match all of the miles you have earned in your first year. With an unlimited 1.5x miles on every dollar spent the rewards could really stack up and that first-year bonus is a huge boon for most miles collectors. Commonly used for: 0% Introductory APR, Auto Rental Insurance, EMV, Extended Warranty Program, FICO Score, Lost Luggage Reimbursement, Mobile Pay Ready, Points, Purchase Protection, Travel Accident Insurance, Unsecured credit card, Visa Signature, Zero Fraud Liability. This is a solid no annual fee travel rewards card. The 1.5 points for every $1 you spend on purchases is redeemable how and where you want as you are not limited to certain websites or date ranges. If you’re at a high-status level within Bank of America, you can really unlock the value of this card as you can boost those rewards 25%-75% which takes this card from good to great. Commonly used for: Auto Rental Insurance, Charge card, EMV, Extended Warranty Program, Free Credit Score, Mobile Pay Ready, Points, Presale Tickets, Purchase Protection, Travel Accident Insurance, Zero Fraud Liability. The American Express Gold Card is well-worth the $250 annual fee if you spend heavily on travel, dining, and groceries. In addition to the valuable rewards structure on this card, cardholders will receive up to $100 in airline fee credits each year at one selected airline. Commonly used for: Auto Rental Insurance, Concierge Service, EMV, Extended Warranty Program, Free Credit Score, Lost Luggage Reimbursement, Mobile Pay Ready, Points, Presale Tickets, Price Protection, Purchase Protection, Travel Accident Insurance, Travel Assistance, Trip Cancellation Insurance, Unsecured credit card, Zero Fraud Liability. The Citi Premier Card is a valuable card for consumers who spend heavily in the travel, gas, dining, and entertainment categories. While many cards may offer better rewards rates in one or two of these categories, this card is one of the only cards in the market to reward spending in all four. Commonly used for: Airport Lounge Access, Annual Travel Credit, Annual Uber Credit, Auto Rental Insurance, Charge card, Concierge Service, Elite Status, EMV, Extended Warranty Program, Free Credit Score, Free Wi-Fi Access, Lost Luggage Reimbursement, Mobile Pay Ready, Points, Popular, Presale Tickets, Private Jet Access, Purchase Protection, Travel Accident Insurance, TSA/Customs Reimbursement, Ultra-Premium Card, Zero Fraud Liability. The Platinum Card® from American Express offers tons of benefits to people who frequently travel internationally. Some of the great perks include Uber VIP status, access to several airport lounges for those long layovers like Amex Centurion Lounges and Delta Sky Clubs, and you'll also get Gold status with both Marriott and Hilton. Commonly used for: Auto Rental Insurance, Companion Ticket, Concierge Service, EMV, Extended Warranty Program, Free Checked Baggage, Free Credit Score, Lost Luggage Reimbursement, Mobile Pay Ready, Purchase Protection, Roadside Assistance, Travel Accident Insurance, Travel Assistance, Unsecured credit card, Visa Signature, Zero Fraud Liability. Alaska's Famous Companion Fare™ Offer gives you a companion fare starting at $121 ($99 plus taxes and fees) each year on your account opening anniversary for flights booked on alaskaair.com. This makes the Alaska Airlines Visa Signature a very rewarding airline travel card that could save you hundreds of dollars every year. The card also gets you free checked bags for you and up to six other guests on the same reservation. 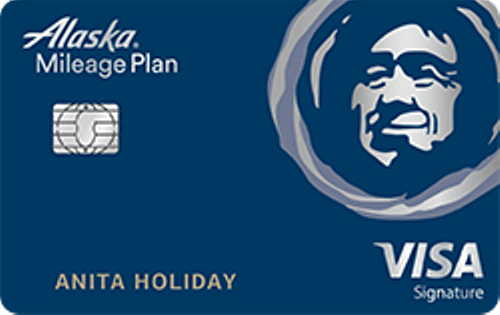 If you’re often flying accompanied and on routes frequented by Alaska Airlines, this card is worth serious consideration. Editorial disclosure: All reviews are prepared by Bankrate.com staff. Opinions expressed herein are solely those of the reviewer and have not been reviewed or approved by any advertiser. The information, including card rates and fees, presented in the review is accurate as of the date of the review. Check the data at the top of this page and the bank’s website for the most current information. Who should get a travel rewards card? Bankrate’s team of experts have many years of experience providing advice for every stage of your financial life. Whether you’re looking for help choosing a credit card for general travel rewards or a specific trip in 2019, the crew here at Bankrate can help you with thoughtful and well-researched commentary. Finding the right travel credit card can be complicated because there are so many different types of travel rewards cards to choose from. From points and miles to co-branded airline or hotel cards, we cut through the noise to give you the information you will need to make an informed choice. The travel cards industry is home to some of the most lucrative and expensive rewards cards. At Bankrate, we score each card out of 100 against our matrix, which was devised to take into account various card attributes, such as the card’s annual fee, rewards value, sign-up bonus, and any extras or discounts. However, everyone is unique: Just because a card has a lucrative welcome offer doesn’t mean it is the right card for your regular spending habits. Wherever possible, we have identified where we think a card will suit a particular type of spender or traveler. Travel rewards value: Travel rewards are the main motivation for travelers. Our scoring method measures the rewards structure, how you earn them, and how to make the most of them. Annual fee: An annual fee can give the cardholder access to rewards and benefits and many cards waive the fee for the first year. We assess the annual fee against the benefits to determine if the fee is worth it, how to best use the card to make back the expense of the annual fee, and what type of user would most benefit. Foreign transaction fees: A foreign transaction fee is usually around 3% of every purchase you make abroad. We assess the foreign transaction fees for our recommended travel cards to help you avoid the unwanted surprise extra charges. Extras and Discounts: Advantages such as no checking fee for baggage and trip insurance are useful benefits for travelers. What is a travel rewards card? Travel rewards cards earn you points or miles back for making travel-related purchases with the card. Similar to cash-back cards, you earn a percentage back on spending, usually between 1 and 5 percent. Based on the travel rewards card you own, you can book flights or hotel stays through any site (or the issuer’s website) in exchange for a statement credit. You can then use that credit to help cover the cost of your purchases by utilizing your rewards. With a hotel or airline specific card, you can usually apply the miles or points you’ve earned for free or reduced hotel stays and airfare. There is a big range in the travel rewards credit card space with some great no annual fee cards and some of the most expensive annual fees in the credit card industry. The most premium of these cards can offer a ton of travel-centric extras like annual flight credit, hotel credit, insurances, lounge access, and bonuses or discounts. These cards are often designed for frequent travelers valuing luxuries (like upgrades and lounge access) and business travelers who clock a lot of miles. The best travel rewards cards will offer generous rewards rates and flexible redemption. Blackout dates and restrictions on when and where you can use your points and miles can reduce the real value of the card for you. Make sure to check out how your points or miles are redeemed to ensure that they work best for your travel habits. The good news is that there is so much choice. If you travel a lot already or want to start turning your everyday spending into flights, hotel stays or road trips in 2019 then there will be a travel rewards card that suits you. Make sure that the points and miles you earn can be redeemed in the way you want and make use of the bonus features that often come with travel credit cards. The Capital One Venture Rewards Credit Card is a straightforward travel rewards credit card that can help you earn miles toward your 2019 trip plans without having to worry about categories or caps on earning. Partnerships with a growing number of airline loyalty programs allow for exponential transfer value for earned miles, giving cardholders the ability to maximize their travel rewards with their favorite airlines. Factor in the modest annual fee that is waived in the first year, and the sign-up bonus valued at an estimated $500 in rewards, and you can see why this is Bankrate’s favorite travel credit card. For a limited time, Capital One is offering a fairly large introductory bonus for new cardholders – 50,000 miles for spending $3,000 in the first three months of ownership. This bonus equates to around $500 in travel benefits. To find out more about this offer, visit Capital One or The Points Guy. Earn 50,000 bonus miles after spending $3,000 within the first three months of card ownership. Earn 2 miles per dollar with no caps or expiration dates. Plus, earn 10X miles on thousands of hotels, through January 2020; learn more at hotels.com/venture. Flexible rewards that can be redeemed on any airline, hotel, or rental car. Read our full Capital One Venture Rewards Credit Card review. If you’re ready to take the plunge and apply for your first travel rewards card, look no further. The Chase Sapphire Preferred Card pays generous rewards of 2X the points on all dining and travel. Plus, Chase’s definition of travel includes expenses that other cards typically exclude like tolls, parking fees and ride-sharing costs. This card comes with auto and travel insurances and protections. Read our full Chase Sapphire Preferred review. Book travel whenever you want, however you want. There aren’t any restrictions on how you book your travel with the Barclaycard Arrival Plus World Elite Mastercard. You can purchase through any airline or hotel to ensure the best deal on your next trip. Plus, redeem miles for travel statement credit, cash back, merchandise and more. And if you’d rather hold onto your miles, don’t worry – your miles won’t expire as long as you keep an active account. One of the best perks of this card is that you’ll get 5% of your miles back each time you redeem your miles. Miles can be redeemed directly for travel purchases. 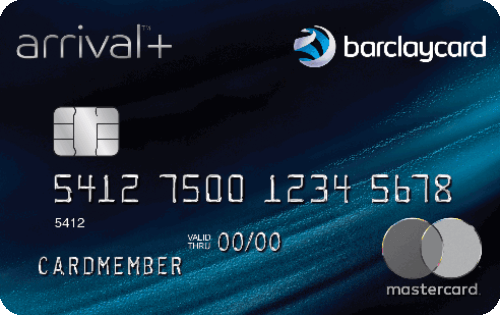 Read Bankrate’s full Barclaycard Arrival Plus World Elite Mastercard review. With this card, you earn unlimited 1.5x miles on every dollar spent on all purchases, all for no annual fee. The best part? 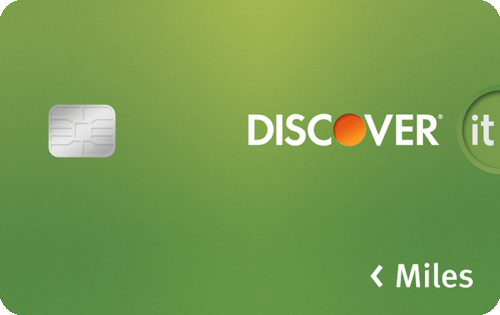 At the end of your first year, Discover will match all of the miles you have earned on your spending during the last 12 months. That means if you earn 40,000 miles at the end of your first year, you would get another 40,000 from Discover. That’s $800 towards travel, or enough fund your 2019 vacation plans. Unlimited 1.5x Miles on every dollar. Discover will match all the miles you earn in your first year automatically. Redeem miles towards travel purchases. Read our full Discover it Miles card review. 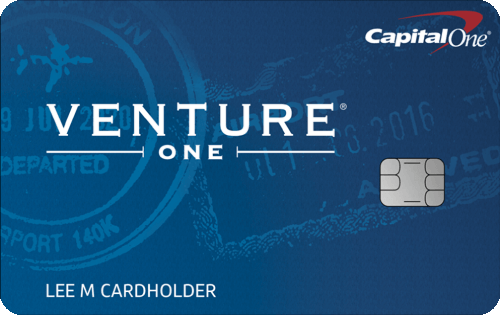 The Capital One VentureOne Rewards card is the little brother to the Capital One Venture card. It’s a great option for anyone looking for decent returns without paying an annual fee. Though the standard rewards rate isn’t the most competitive, you can earn 10x miles on thousands of hotels, through January 2020 (learn more at hotels.com/venture). To boot, Capital One is partnering with airlines all over the globe to offer miles transfer privileges for cardholders to maximize their miles. If you hate the idea of paying an annual fee, and you are a frequent flyer, this card is a good choice. 20,000-mile bonus ($200 in travel) after you spend $1,000 in the first three months. 1.25x miles on every dollar you spend with your VentureOne card and 10X miles on thousands of hotels, through January 2020 (see hotels.com/venture). Flexible rewards, which means that miles can be redeemed for any hotel, airline, or car rental company (including travel discount sites). 10x points on purchases made with the card at Hotels.com/Venture. Read our full Capital One VentureOne Rewards card review. If you’re looking for a no-fee card that pays decent and flexible travel rewards, you’ve found it. The Bank of America Travel Rewards credit card pays an unlimited 1.5 points for every $1 spent. Your rewards never expire and can be used on any flight or any hotel without any blackout dates or other restrictions. Like any good travel rewards card, there are no foreign transaction fees on this card. This card comes with a 0% Introductory APR for 12 billing cycles for purchases, then 17.24% – 25.24% Variable APR. For anyone who already has a banking relationship with Bank of America, the rewards on this card go from decent to outstanding. If you’re a Preferred Rewards member, you can earn 25% – 75% more points on every purchase. 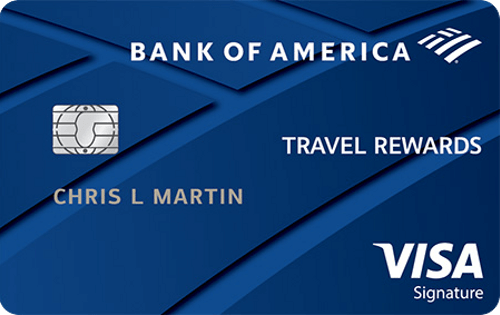 Read our full Bank of America Travel Rewards credit card review. 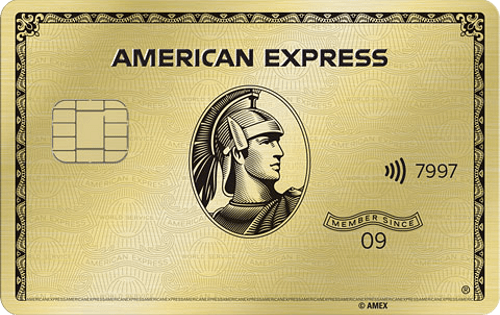 The American Express Gold Card is a luxury travel card that comes with a solid rewards structure along with some uniquely valuable travel and dining perks. The $250 annual fee may seem like a relatively large price to pay for card ownership, but keep in mind that you will receive a $100 airline fee credit each year and that you can earn up to $120 each year by enrolling in a program that allows you to earn up to $10/mo. when you pay with your gold card. That is $220 in perks annually, not including the value of the points that you will earn with this card. Earn 4X Membership Rewards Points at U.S. restaurants. Earn 4X at U.S. supermarkets on up to $25,000 in purchases each year, then 1X. Earn 3X Membership Rewards Points when you book your flights directly through airlines or on amextravel.com. $100 Airline Fee Credit provides up to $100 in statement credits per calendar year for incidental fees at one selected qualifying airline. No foreign transaction fees, a major perk for international travelers. Read our full American Express® Gold Card review. The Citi Premier Card is a valuable credit card to have in your wallet if you spend a significant amount on travel (including gas), restaurants and entertainment. There are tons of cards out there with rewards on travel or dining, but this card that features both as bonus rewards categories. For the right consumer, this card has the potential to earn major rewards. Additionally, this card has an incredible sign-up bonus: spend $4,000 in the first 3 months of account opening to earn 50,000 points. Those 50,000 points are worth $625 in airfare on any airline, anytime with no blackout dates when booked through the ThankYou® Travel Center, or $500 in gift cards when redeemed at thankyou.com. Earn 50,000 points after spending $4,000 in purchases on your new card in the first 3 months. Citi Price Rewind gives you a refund (equivalent to the price difference) if you buy something and it is found for sale for a lower price within 60 days. 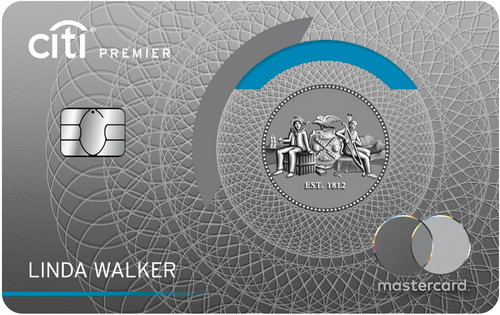 Read Bankrate’s full Citi Premier Card review. Luxury is the name of the game with The Platinum Card® from American Express. In addition to a generous rewards structure that caters to frequent travelers, you’ll get access to exclusive perks such as access to premium lounges (including Centurion Lounges), a $200 airline fee credit, complimentary elite status with both Hilton and Marriott, Uber credits and more. While the card comes with a steep $550 annual fee (see rates & fees), the cost is worth it if you spend quite a bit of time traveling each year, especially internationally. Earn 60,000 Membership Rewards® points after spending $5,000 in purchases on your new card in the first 3 months. Exclusive access to three types of lounges: Delta Sky Club lounges (when you fly Delta), Priority Pass™ Select lounges and American Express proprietary lounges. The card is a charge card — while you have to pay off the balance each month, you also avoid interest charges with this card. 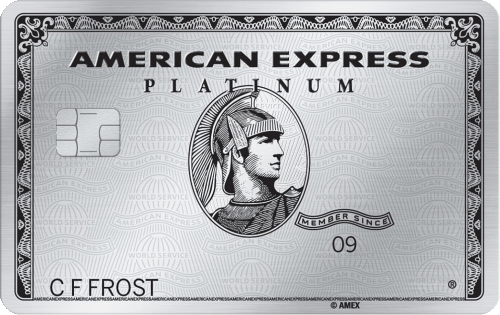 Read Bankrate’s full The Platinum Card® from American Express review. There are two types of people who can benefit from a travel rewards card: those who already travel frequently for business and will therefore reap the benefits of a travel card often; and those with the goal of traveling more, for less. If you’re in the air on a weekly basis, you’ll have no problem racking up points or miles simply as a result of paying for flights with your travel card. If that’s the case, you’re likely a good candidate for either an airline-branded card or a premium travel card. The airline card will help you climb the rungs of airline status (think: priority boarding, in-flight discounts, upgrades) and the premium card will gift you special perks like lounge access and statement credits. You’ll improve the experience of your travel routine and earn points you can use on something non-business related, say a family vacation. For non-business travelers, a travel card is an excellent tool for flipping everyday expenses into travel experiences. Whether you’re planning a family trip or a solo adventure, you can earn several travel points/miles per dollar you spend on things like dining, gas, and groceries. You may not earn as many points as someone who flies every week, but you’ll have just as many opportunities to earn them. Another thing to keep in mind when considering a travel card is the amount you’ll pay in fees. Some cards have annual fees, some have foreign transaction fees. Make sure you can spend conservatively while still accruing enough rewards to make up for annual fees. If you’re planning on taking a trip outside of the US, opt for a card that won’t tack on a 3% charge to everything you buy while you’re there. General purpose travel rewards cards. These cards earn flexible rewards that can be redeemed for multiple types of travel including airfare, hotels or rental cars. Some come with a low cost of ownership while others can cost hundreds of dollars but include plush perks and other extras. Co-branded travel rewards cards. These are cards offered in conjunction with a specific hotel or airline brand and usually include an enhanced rewards rate and other brand-specific perks like free checked luggage or free room upgrades. Usually, the higher the annual fee for the card, the greater the “extras” that come with ownership. Premium travel rewards cards. If a credit card charges you hundreds of dollars in annual fees, it’s likely to come with high-end perks and benefits. Examples of these bonuses include premium airport lounge access, increased rewards earning potential, annual travel credits that can reduce the overall cost of owning the card. These cards are best for those who travel often and can take full advantage of the extras. Are you interested in a co-branded credit card so you can get points or miles with a specific frequent flyer or hotel rewards program this coming year? Read more about our top choices for each of those categories. Which travel credit card is best for me? Before choosing a travel rewards card, consider your lifestyle. If you favor road tripping over globetrotting, you may prefer hotel rewards over airline ones. If you regularly commute for work, it might be best to choose a card for 2019 that rewards gas or transit spending. You also need to take a look at your budget, as even though some of pricier cards sound enticing, if you aren’t going to take advantage of the accompanying perks, it may not be the best card for you. Look at the amount of travel you plan to do and do the math on whether the additional perks that come with a high-annual fee card make sense for you. Finally, consider your travel goals and think about how a potential card’s earning power will help you attain that next trip. If you’re torn between two cards that seem pretty similar, you may want to choose the one that offers a more valuable welcome bonus if you can meet the card’s minimum spending requirement. Some of the best travel rewards cards offer juicy introductory offers to lure you into applying. But, if there’s no value to you beyond that bonus, it may not be worth the cost of ownership over the long term. Each card has its own redemption program. Some issuers prefer that you book your rewards travel through their online Web portal, or by calling a rewards representative to book the travel for you. Other cards require you to book the travel first and then apply the redemption towards the cost of the trip as a statement credit. Still, other cards require enough rewards to pay for an entire trip while some let you use your rewards for partial payment. Before applying for a travel rewards card, consider carefully the type of spender you are and how much travel you’re likely to do. If you rarely take a plane, a premium travel rewards airline card is likely not worth the high cost of ownership for you. But if you fly at least several times a year and typically with luggage, an airline card with a free checked baggage perk could save you hundreds of dollars a year. Also be sure to check out booking sites like Priceline and Expedia. During this time of year around the holidays, they are often running some pretty lucrative promotions when it might make sense to book through them instead of through another travel portal or directly with an airline or hotel. Need to do more travel cards research? If you still feel like you need to do more research to find the right credit card to fund your 2019 vacation, we have plenty for you. Check out our reviews section (below) to browse through our reviews of every single major travel card on the market, and then some. Feel free to shoot us an email or message on social if you have any questions!